If you are a company, an independent professional, an expert in social media or a blogger, you could earn some extra money for every booking that you help us receive. 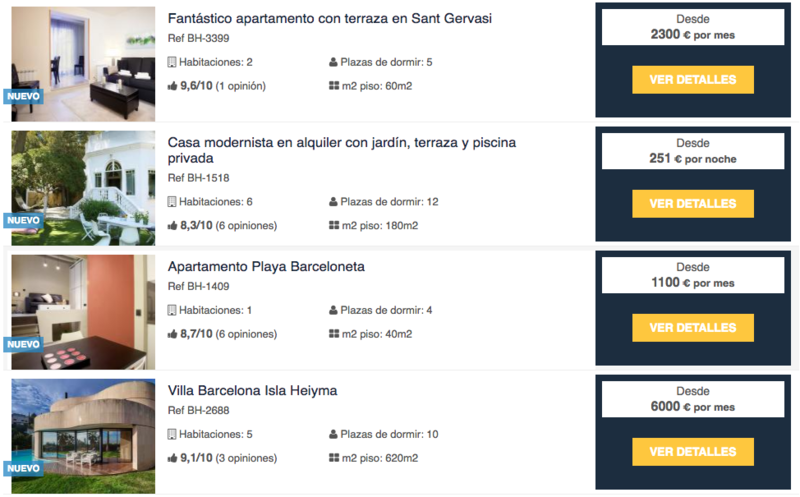 You could obtain a great number of reservations: We have 1.500 apartments available in Barcelona and other coastal destinations that are close, as well as the capacity to provide service in 13 languages. Once you register yourself as one of our affiliates, you could create and insert a widget to your webpage or blog. 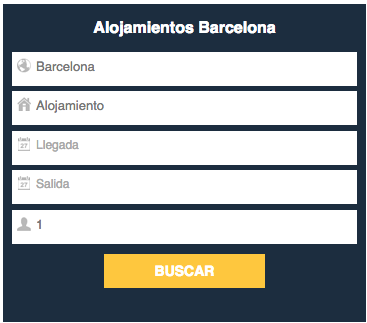 The widget allows us to know which reservations come from your website or blog and this is how we generate your commission. You could access your affiliate account at any moment to modify your information and check the amount of reservations. Once you have installed our widgets on your blog or website, the prices, the images and the text will be updated and will change automatically, which means that no maintenance is required from you. You only have to register here. Your comission grows when you realize more bookings. The cuantity that shows on your account is what you’ll earn! We offer you 3 types: URL, search box or a list. We solve any problem from here. You’ll be able to consult or modify any data in your user space. 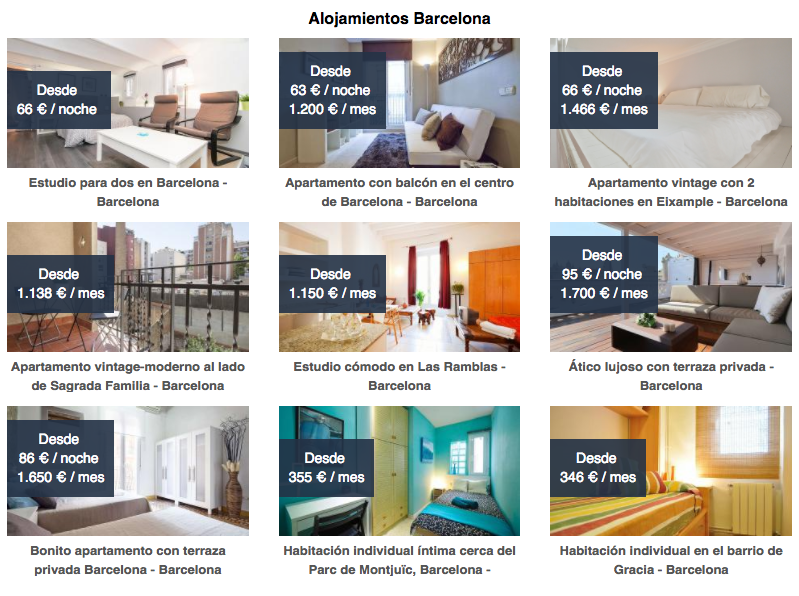 *For daily and monthly rentals, all commissions will be paid from the first reservation for a period of 6 months. The sum that the commission applies to is the payment of the client to confirm the reservation. Barcelona Home will share part of its commission with you! Read our Terms and Conditions here!